Beautiful, durable, and reliable. That’s the only way to describe Florim USA Ethos porcelain tile and we’re pleased to include it within our inventory. Designed to mimic the appearance of natural stone tile, Florium USA has combined this look with the durability and and strength of porcelain. Available in beige, grey, or noce, the installation of this tile brings your bathrooms, kitchens, and entryways to life in a way that few other tile options can. This versatility makes it one of the most popular tiles we carry and it’s one we are proud to recommend to our clients. The tiles are available in sizes ranging from 2×2 to 12×24. This makes it easy to use it to create everything from muted backdrops to unique mosaics you’re sure to appreciate. 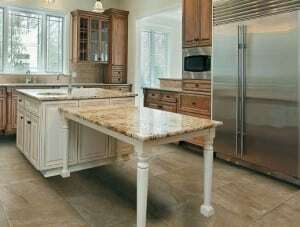 Further, the tile is eco-friendly with up to 40 percent of the composition being made up of recycled content. In fact, the only “downside” to the Florium USA Ethos porcelain tile collection is that it is an indoor only tile. We have a wide selection of Florium USA Ethos porcelain tile for you to choose from. Contact us at Conestoga Tile and we’ll be glad to send you more information.